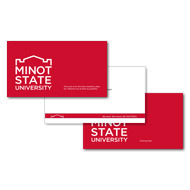 Some templates have been created to enable Minot State staff to create materials that are consistent with the graphic standards. 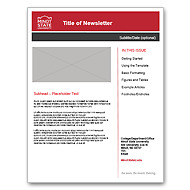 A newsletter template created for use in Microsoft Word. A basic presentation template has been created for use in Microsoft PowerPoint. For assistance with this template, contact Teresa Loftesnes in the Marketing Office at 858-3062. 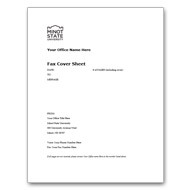 A basic fax cover sheet template has been created for use in Microsoft Office. 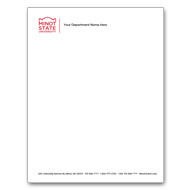 Individual schools, departments and offices can use the linked letterhead template. The name should be changed as needed and use the font Monserrat at a font size 13pt.